Almost exactly one year ago, after IrishCentral founder Niall O’Dowd’s suggestion, I began writing the “Boston Irishman in Ireland” column for this website. He thought that my perspective, as an Irish-American who has been living and working in Ireland for more than ten years, would appeal to IrishCentral’s audience. I like to think that Niall’s been proven right since then. And I’m extremely grateful to him for offering me the opportunity. In some ways, it’s hard to believe that a year has passed by. In others, it’s hard to remember what I did to pass the time on the lengthy commute back and forth between my home, in Wicklow Town, and my work, on Dublin’s northside, before I began writing for IrishCentral. At any rate, I have immensely enjoyed writing this column for the past 12 months. There have been 40 in all, comprising nearly 50,000 words. As promised in my very first column, “Back to the old country – how an Irish-American views living there,” I have visited a lot of different people, issues and places. And as predicted in that column, readers have most certainly agreed and disagreed with me and liked and disliked what they have read at different times. What I myself read regularly in the ever lively comments section – more on that later – and what others tell me they see on Facebook and Twitter reveal that this is definitely the case. IrishCentral is a hugely successful venture by any measuring stick. The vision of its founder was that IrishCentral would become the meeting place on the world wide web for the global Irish Diaspora. And now 1.5 million independent visitors come to the site every month. The majority of these visitors are from North America, but there are a substantial number from here in Ireland, and from elsewhere in the world too. Notwithstanding the impressive statistics and figures, it is the individual feedback that I, as an IrishCentral columnist, enjoy receiving more than anything else. Friends and colleagues have conveyed that those “in the know” on both sides of the Atlantic find my political analysis useful and incisive. Old friends and acquaintances who I haven’t seen in years have written to me indicating how much they enjoy my writing. 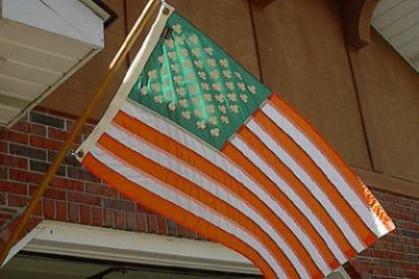 Irish-Americans I’ve never met have written to tell me that they couldn’t disagree with me more vehemently, yet are really jealous that I am “living the dream” back in the “auld sod.” And I was deeply affected by the warm reaction of the friends, colleagues and relations of RTÉ (Irish radio and television) sports personality, Colm Murray, to the column I wrote about his heroic, ongoing fight against motor neuron (aka Lou Gehrig’s) disease. Before I get too impressed with myself, the feedback from IrishCentral readers hasn’t been all positive. On the comments section, I’ve been called an “idiot,” a “numbskull,” a “socialist” and a “buffoon.” Readers have asked Niall O’Dowd to get rid of me, thanked Ireland for taking me away from the United States and alleged that I make things up to suit my arguments. And then there is the provocateur-in-chief of the comments section, George Dillon, who also seems to have started to comment under the name Wounded Knee as of late. His initial commentary on my writing was universally negative, punctuated by his succinct reaction to my column about the refusal of Willie Penrose TD to vote with his party on the proposed closure of an army barracks in his hometown: “Very boring article. Who the hell cares about this guy Penrose?” More recently, however, he has become far more complimentary and seemed to especially like my columns about the European fiscal treaty referendum campaign in Ireland earlier this year. I’m just not sure how to take his praise! Whether negative or positive, this feedback illustrates the power of the written word. And for a writer, the receipt of feedback to his own words and to the sentiments those words express is simultaneously affirming and challenging. One writer whose words and sentiments I was delighted to use this column to rebut vigorously is Donald Clarke of The Irish Times. In March of this year, Mr. Clarke used his prime space on the op-ed page in the weekend edition of Ireland’s paper of record as a platform to espouse vile and spiteful invective about this website, Irish America and Irish-Americans. I greatly appreciated the hundreds of supportive comments posted by IrishCentral readers who read my piece. My only regret is that Mr. Clarke chose never to offer anything by way of response. While other columns have garnered favorable reactions from readers, it’s also struck me that, when measured by number of comments, Facebook “likes” and tweets, some of the columns that I have most enjoyed writing haven’t similarly interested readers. Columns on Ireland’s new property tax, gender inequality in Irish politics and the role of public intellectuals were all damp squibs. The reality that some topics are more appealing to the audience than others may seem easy to grasp. But it’s been difficult to come to grips with for this writer. There are two members of the audience – IrishCentral Editor Kate Hickey and Deputy Editor Molly Muldoon – who don’t get a choice about reading my columns. For that, and for dealing with my unacceptable incompetence when it comes to all things technological, they are deserving of everyone’s sympathy and my profound thanks. I’m greatly looking forward to another year of writing as the presidential and congressional campaigns reach their climax in the United States and what is bound to be another action-packed year in Irish politics unfolds. It will also be a year of big changes for me professionally – I am returning to academic life in the School of Law at the National University of Ireland, Galway in September – and personally – my wife is expecting a baby in November. I’ll probably write about that stuff too. It’s been a great year. Above everything else, I want to extend my sincerest, heartfelt thanks to all who read a “Boston Irishman in Ireland.” Please keep reading. I’ll keep writing.